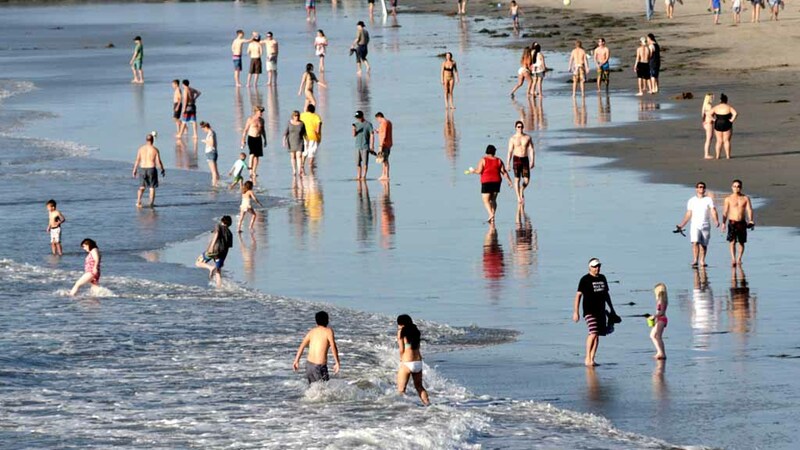 A slight cooling trend is beginning in San Diego following days of record heat, although the unusually warm ocean will keep coastal areas humid. Records were broken again in San Diego on Saturday, with temperatures dropping no further than 77 in the early morning hours and then rising to 88 in the afternoon. Both were several degrees above previous records. The weather service is forecasting highs Sunday of 78 to 83 near the coast, 83 to 88 inland, 87 to 92 in the valleys and 84 to 93 in the mountains. By Wednesday, as the cooling trend progresses, high temperatures are expected to drop into the high 70s along the coast and low 80s inland.